Surrounded by thick forest, with trees so big you couldn’t wrap your arms around them. The forest floor a cushion of moss, wild flowers and fallen leaves. Rays of sunlight streaming through the tree tops like something out of a child’s fairytale. It was a little slice of heaven. It was where I grew my first garden and had fruit trees. Where the passion for growing my own food was ignited. Where I read as many books as I could to learn how to can and preserve everything I was growing. 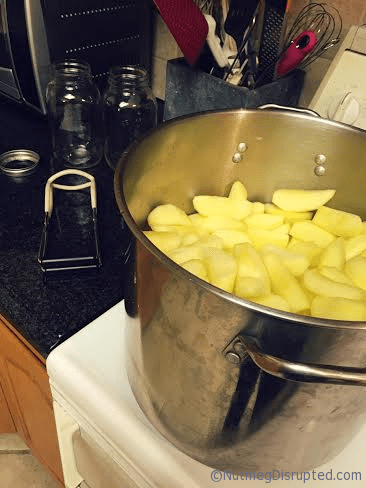 Along with all the pickles and jams I made, my most cherished jars were the 9 liter jars of apple pie filling made from the tree out back. 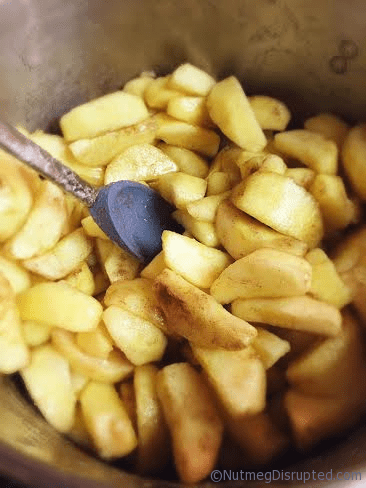 This recipe is super easy all the work is in the prep, but once the apples are peeled the rest of the job is breeze. Wash, peal and core apples. To prevent darkening use Fresh Fruit Powder following the directions on the label. Drain apples and place in a large kettle with the remaining ingredients. Bring slowly to a boil and simmer until all the sugar is dissolved, stirring constantly. Pack into hot jars leaving 5cm of headspace. Seal and process in a hot water bath for 25 minutes. Remove jars and allow to cool completely. To make a pie line a pie pan with pastry. Sprinkle with 2 tablespoons of cornstarch. Add one jar of filling and sprinkle with 2 more tablespoons of cornstarch. Cover with pastry, seal edges and cut vents. Bake for 10 minutes at 425F then reduce to 350F and bake for 30 - 40 minutes.